Our Medium Pile Carpet Chair Mats are ideal for home offices. 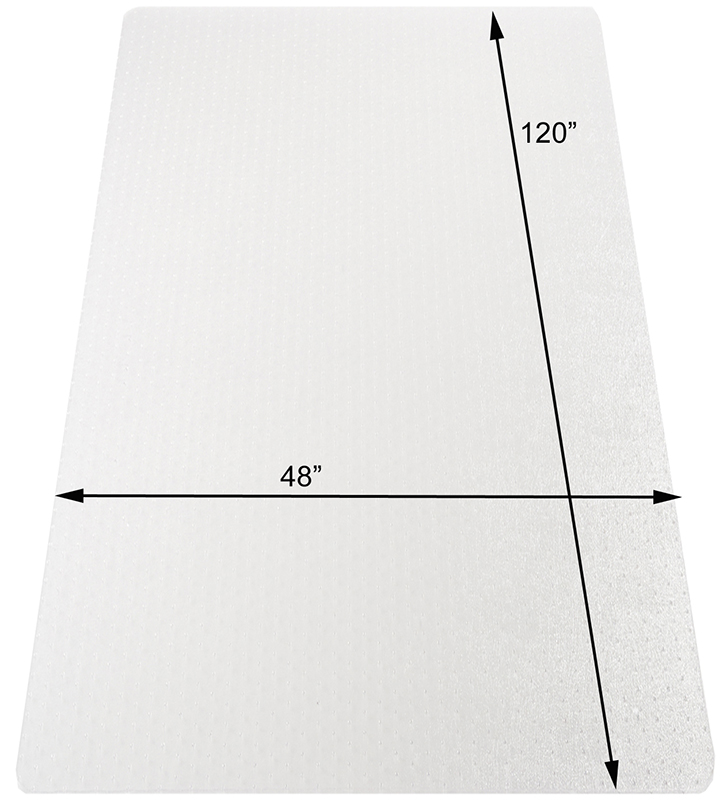 Mats feature a .2" thick heavy duty vinyl material that is resistant to cracks when used on medium pile carpets with pads up to 5/8" thick. Underside of chair mat is studded to grip carpets with damaging item. Rated for commercial usage by users up to 250 lbs, 8 hours a day, 5 days a week. LIFETIME WARRANTY! 36" x 48" Chair Mat sold above. See other sizes below. 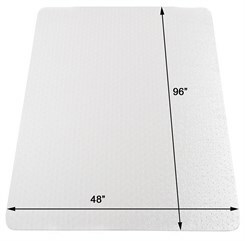 36" x 48" Medium Pile Chair Mat comes in your choice of rectangular or T-Shape (chair mat with 20"x10" lip), with your choice of Straight Edges or Beveled Edges for a small upcharge. Arrives rolled in the carton. Shipping weight 19 lbs. Please allow 1-2 weeks for delivery. * MADE IN THE USA! Long lasting dependability! 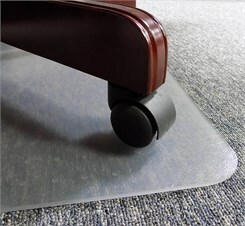 Thick vinyl construction makes a less flexible mat, which helps resist cracking. 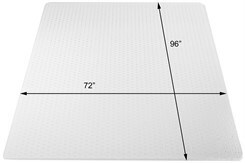 * .2" thickness ideal for home office settings, when medium pile carpets with pads are commonly used. 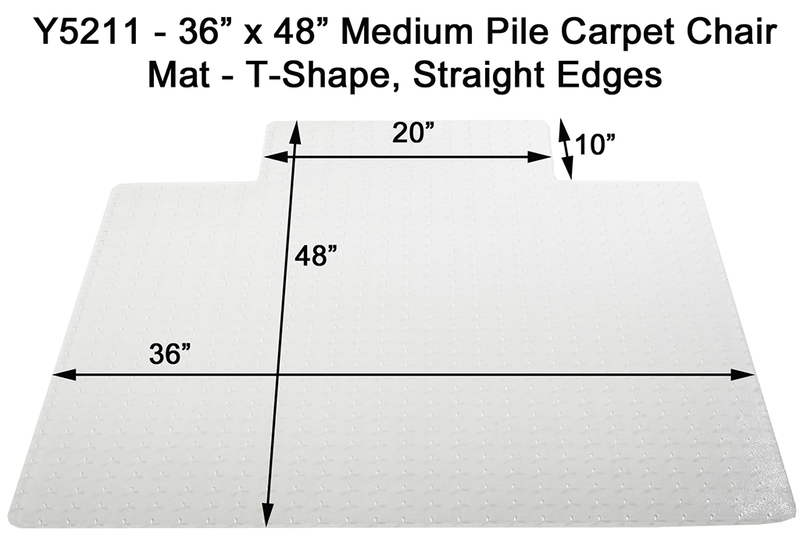 * Have thick or high pile carpet? Check out our High Pile Carpet Chair Mats ! Meant for use in home office settings, on medium pile carpet with pad. Mat is .2" thick. 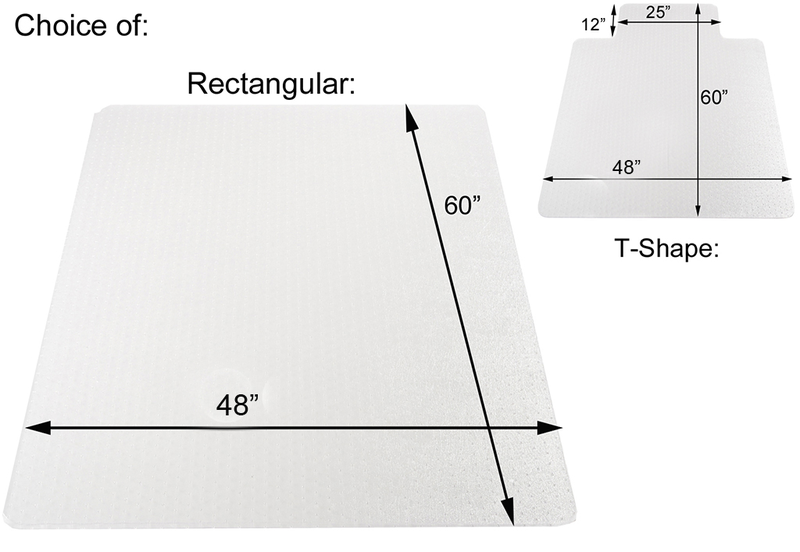 Choice of Rectangular or T-Shape (chair mat with 25"x12" lip). 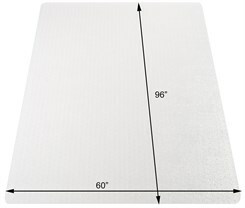 Straight cut edges standard, or choose beveled edges for a small upcharge. Arrives rolled in the carton. Shipping weight 26 lbs. PRICE INCLUDES SHIPPING! 1 - 5 $179.00 ea. 6 - 11 $174.00 ea. 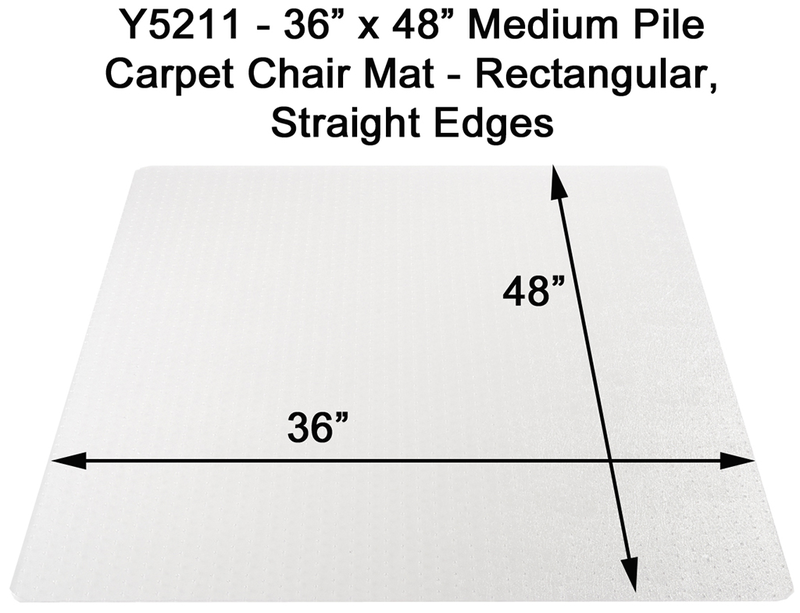 Meant for use in home office settings, on medium pile carpet with pad. Mat is .2" thick. 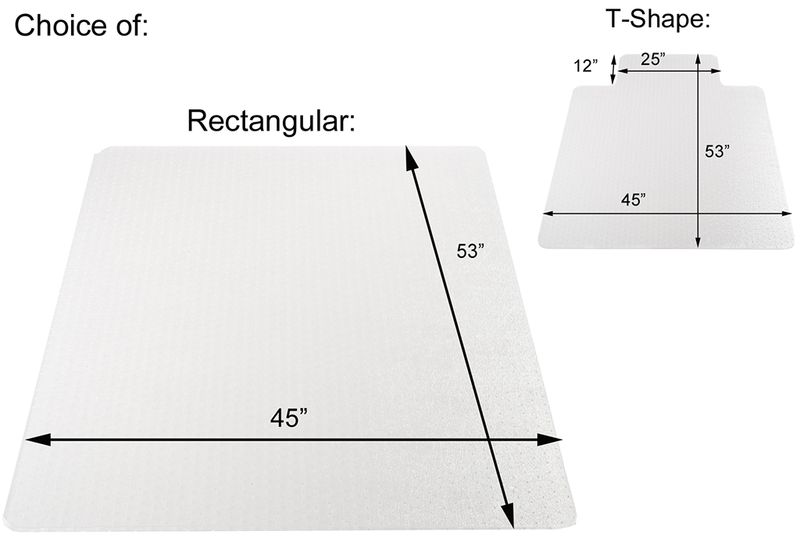 Choice of Rectangular or T-Shape (chair mat with 25"x12" lip). Straight cut edges standard, or choose beveled edges for a small upcharge. Arrives rolled in the carton. Shipping weight 31 lbs. PRICE INCLUDES SHIPPING! 1 - 5 $254.00 ea. 6 - 11 $244.00 ea. Meant for use in home office settings, on medium pile carpet with pad. Mat is .2" thick. Rectangular shape only. 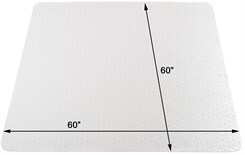 Straight cut edges standard, or choose beveled edges for a small upcharge. Arrives rolled in the carton. Shipping weight 38 lbs. PRICE INCLUDES SHIPPING! Meant for use in home office settings, on medium pile carpet with pad. Mat is .2" thick. Rectangular shape only. Straight cut edges standard, or choose beveled edges for a small upcharge. Arrives rolled in the carton. Shipping weight 50 lbs. PRICE INCLUDES SHIPPING! 1 - 5 $489.00 ea. 6 - 11 $479.00 ea. 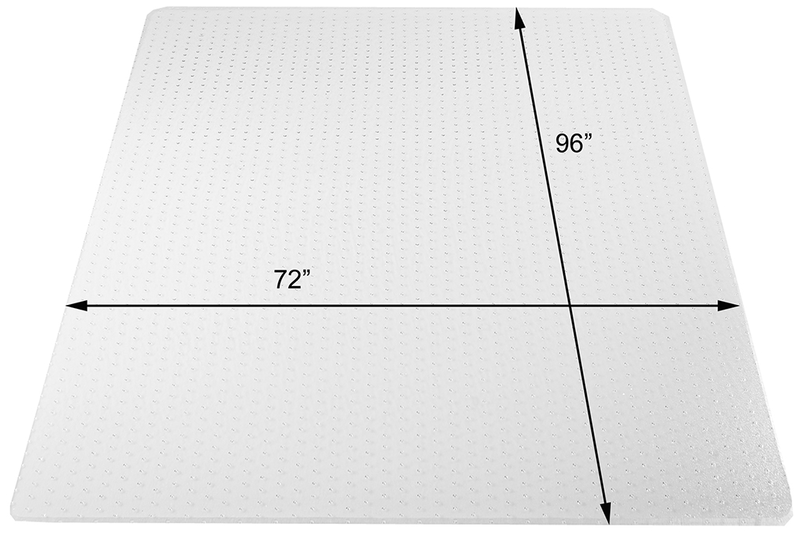 Meant for use in home office settings, on medium pile carpet with pad. Mat is .2" thick. Rectangular shape only. 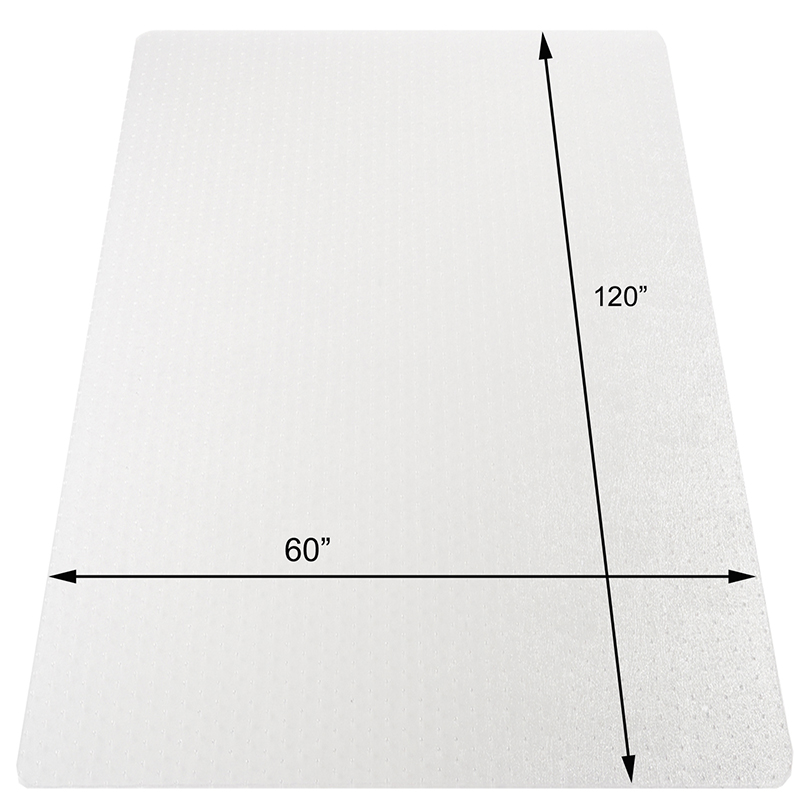 Straight cut edges standard, or choose beveled edges for a small upcharge. Arrives rolled in the carton. Shipping weight 62 lbs. PRICE INCLUDES SHIPPING! Meant for use in home office settings, on medium pile carpet with pad. Mat is .2" thick. Rectangular shape only. 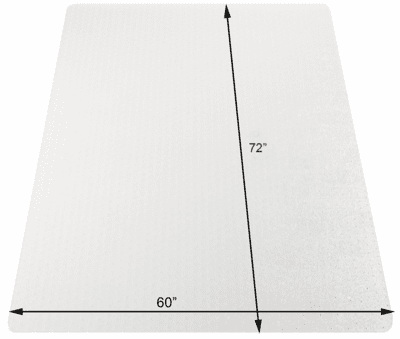 Straight cut edges standard, or choose beveled edges for a small upcharge. Arrives rolled in the carton. Shipping weight 37 lbs. PRICE INCLUDES SHIPPING! 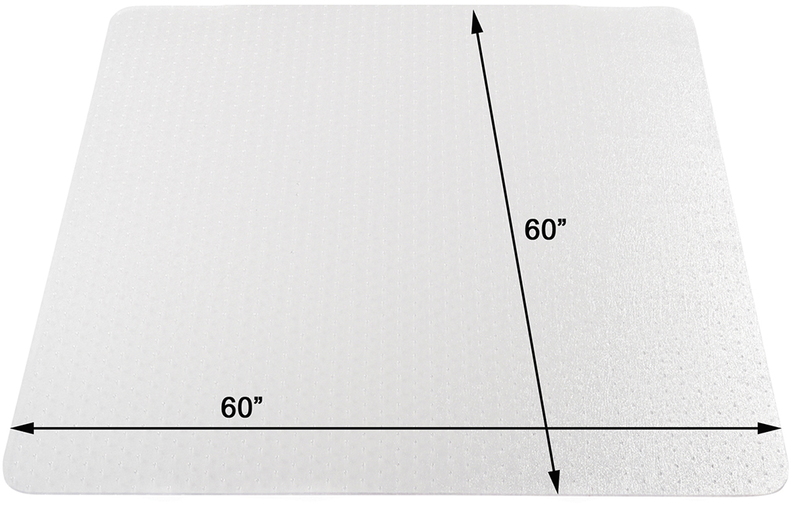 Meant for use in home office settings, on medium pile carpet with pad. Mat is .2" thick. Rectangular shape only. 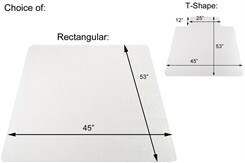 Straight cut edges standard, or choose beveled edges for a small upcharge. Arrives rolled in the carton. Shipping weight 43 lbs. PRICE INCLUDES SHIPPING! 1 - 5 $369.00 ea. 6 - 11 $359.00 ea. Meant for use in home office settings, on medium pile carpet with pad. 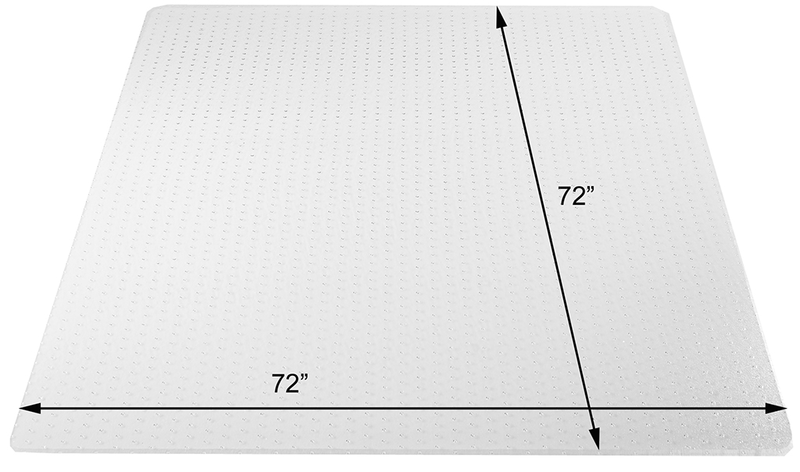 Mat is .2� thick. Rectangular shape only. 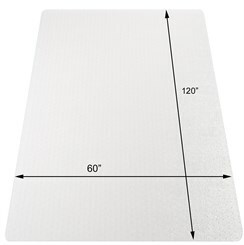 Straight cut edges standard, or choose beveled edges for a small upcharge. Arrives rolled in the carton. Shipping weight 62 lbs. PRICE INCLUDES SHIPPING! 1 - 5 $549.00 ea. 6 - 11 $539.00 ea. 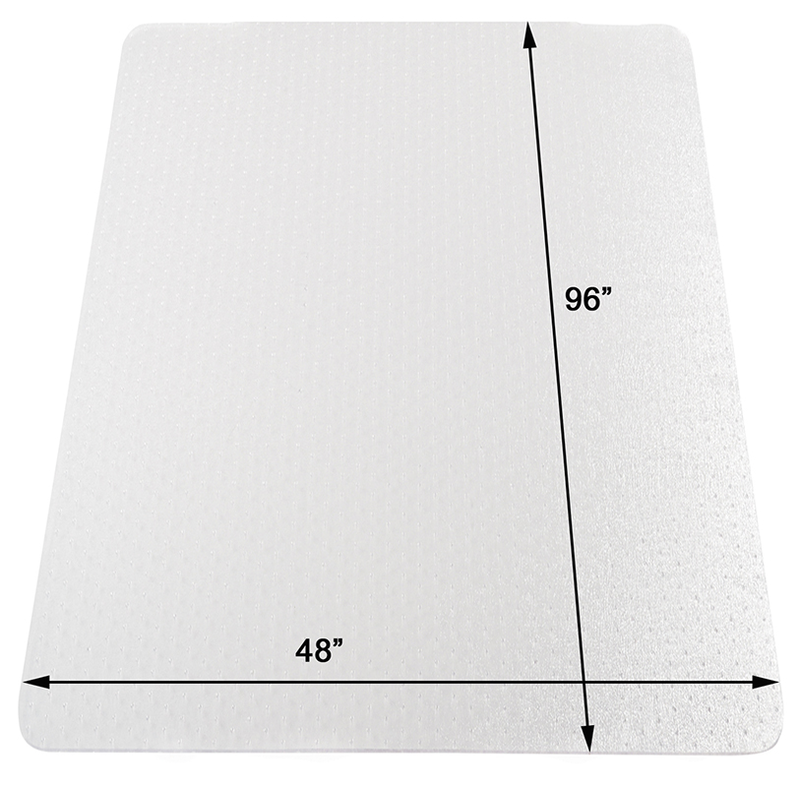 Meant for use in home office settings, on medium pile carpet with pad. Mat is .2" thick. Rectangular shape only. 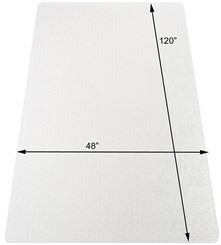 Straight cut edges standard, or choose beveled edges for a small upcharge. Arrives rolled in the carton. Shipping weight 78 lbs. PRICE INCLUDES SHIPPING! 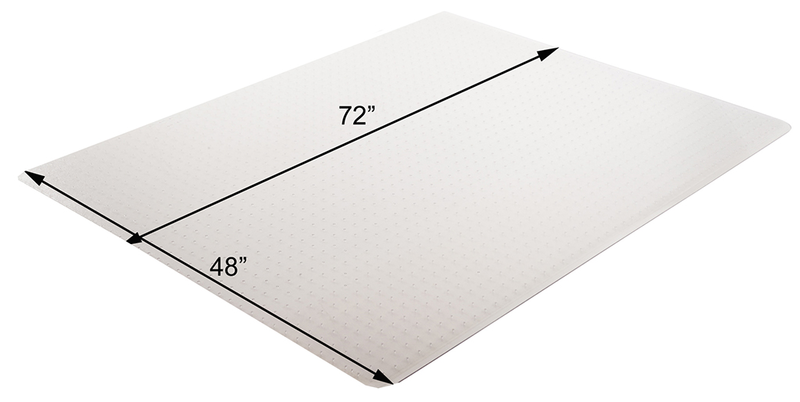 Meant for use in home office settings, on medium pile carpet with pad. Mat is .2" thick. Rectangular shape only. Straight cut edges standard, or choose beveled edges for a small upcharge. Arrives rolled in the carton. Shipping weight 65 lbs. PRICE INCLUDES SHIPPING! 1 - 5 $479.00 ea. 6 - 11 $469.00 ea. Meant for use in home office settings, on medium pile carpet with pad. Mat is .2" thick. Rectangular shape only. 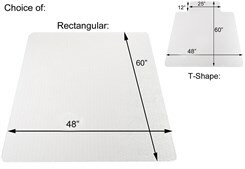 Straight cut edges standard, or choose beveled edges for a small upcharge. Arrives rolled in the carton. Shipping weight 72 lbs. PRICE INCLUDES SHIPPING!